The National Guard's 22nd Cavalry Division was created from the perceived need for additional cavalry units. It numbered in succession after the Regular Army Divisions, which were not all active at its creation. 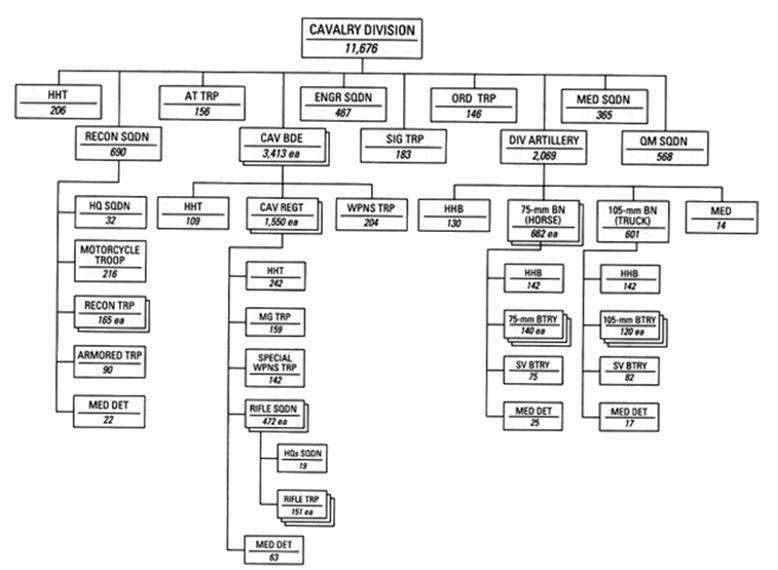 Going into World War II, the US Army Cavalry contained 3 Regular, 4 National Guard, and 6 Organized Reserve cavalry divisions as well as 1 independent cavalry brigade (the 56th from Texas). The 22nd Cavalry Division was geographically dispersed across the United States. The division was composed of personnel from the Georgia, Illinois, Indiana, Kentucky, Louisiana, Michigan, Ohio, West Virginia, & Wisconsin National Guards. This article is issued from Wikipedia - version of the 11/23/2015. The text is available under the Creative Commons Attribution/Share Alike but additional terms may apply for the media files.